Stories from Golden Gate IV: Steve Lopez and the Battle of Bau Bang. Last week, I wandered through Golden Gate National Cemetery and took photos of the markers around me. I’m still on a research trip, now down in Southern California, but I have been slowly researching the men and women whose headstones I photographed. Each one has a remarkable story, which is easy to forget when the headstones stretch for acres in all directions. Tonight, I want to tell you about Private First Class Steve Lopez. 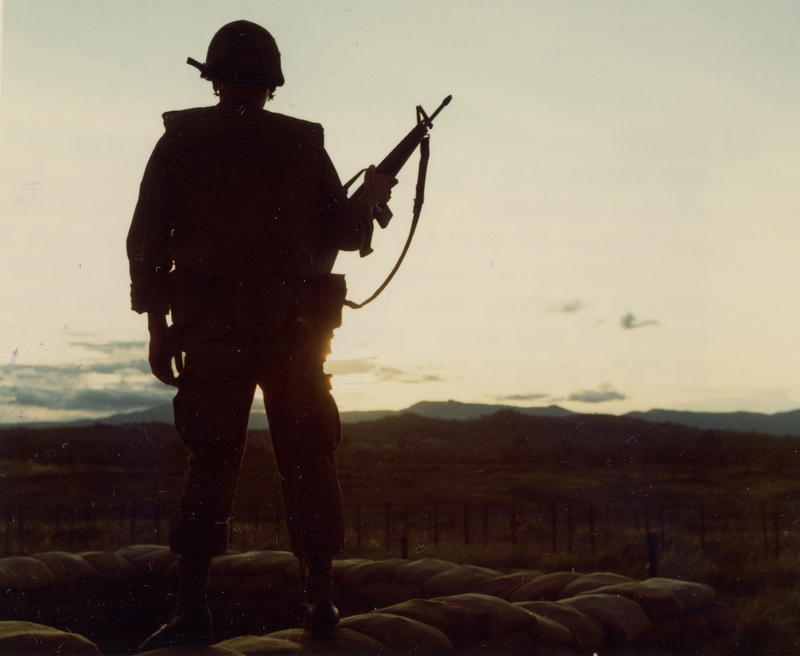 On March 19, 1967, the hundred and twenty-nine men of Troop A, 5th Cav rolled into Fire Base 20, a 1st Brigade, 9th Infantry position about a mile from the Vietnamese town of Ap Bau Bang. 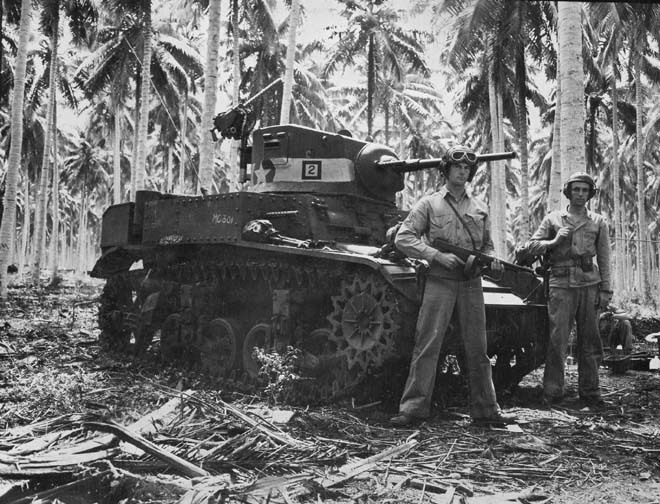 Troop A included six tanks and twenty M-113 armored personnel carriers. 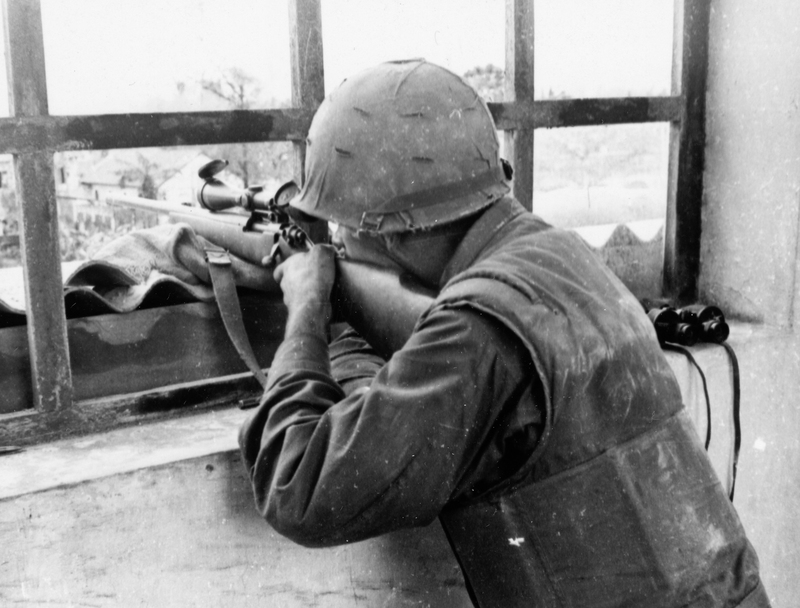 They set up a 360 defensive perimeter around the fire base, and that night at least two battalions of the 273rd Viet Cong Regiment struck the Americans with a massed infantry assault. The fury of the initial assault was so intense that even an AC-47 Spooky gunship, massive artillery support and the combined firepower of the 5th Cav’s tracks could not break it up. The VC reached the perimeter and swarmed over some of the APC’s. The tracks buttoned up and their commanders called for “dusting”–canister shots directed at their own vehicles by their fellow troopers. The idea was these shrapnel shells would kill the VC around the tracks but be unable to penetrate the M-113’s armored hulls. The Americans fired at their own vehicles as the VC hit others with mortars and RPG’s. The tactic worked, but just as the canister shots cleared one M-113, a VC mortar hit it and caused it to explode. The wounded crew managed to escape and get back inside the perimeter as the rest of the troop retreated back and established another fighting line. PFC Steve Lopez was part of the stricken track’s crew. His Brothers were able to get him out of the burning M113, but he died of his wounds a short time later. Steve was from Fremont, California. As a kid, he used to bring a sack lunch with a can of tuna in it. He’d open the can and eat the tuna straight out of it to the astonishment of his friends. Later, one of his classmates visited the Wall and left cans of tuna in his honor on the ground before his panel. Steve was twenty years old when he died of shrapnel wounds. He’d been in the Army less than a year. The Americans held through the night with the help of air strikes, artillery and reinforcements. 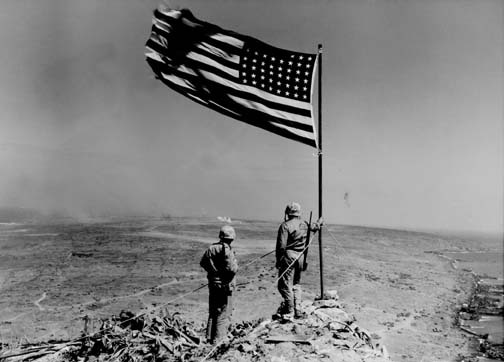 When the fighting ended, sixty-three Americans had been wounded and three killed. The two battalions of the VC’s 273rd Regiment suffered around two hundred and thirty killed in action. 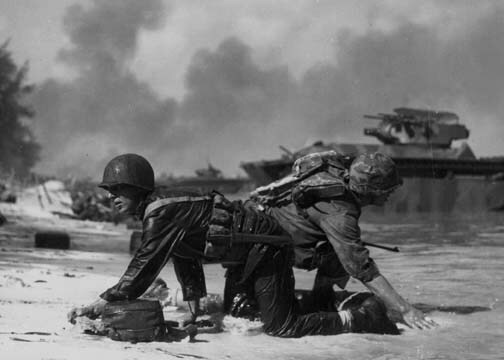 It took twenty-nine air strikes and almost thirty tons of bombs and rockets, plus three thousand artillery shells and the sheer determination of Troop A to hold Fire Base 20. Though the Battle of Bau Bang II, as it was called, has been virtually forgotten by Americans, Steve Lopez will not be. A 1st Cavalry Division fire base in the Hong Kong Mountains. 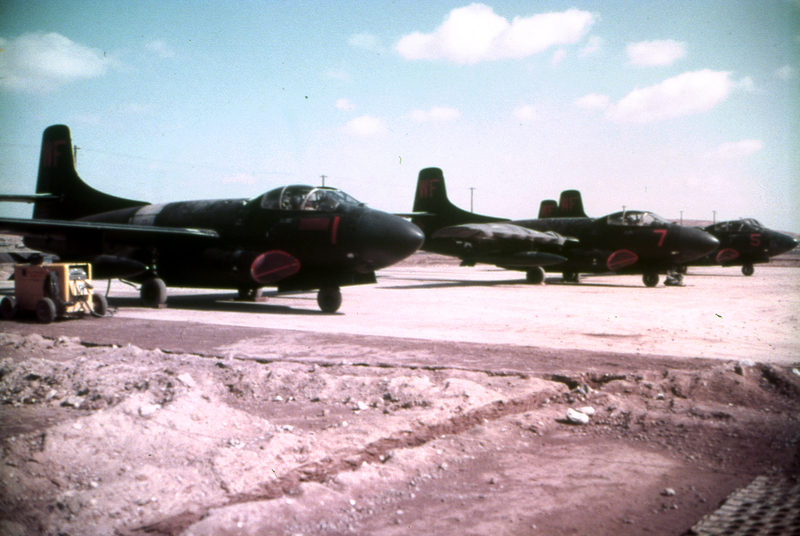 Photo taken May 25, 1967 during Operation Pershing. 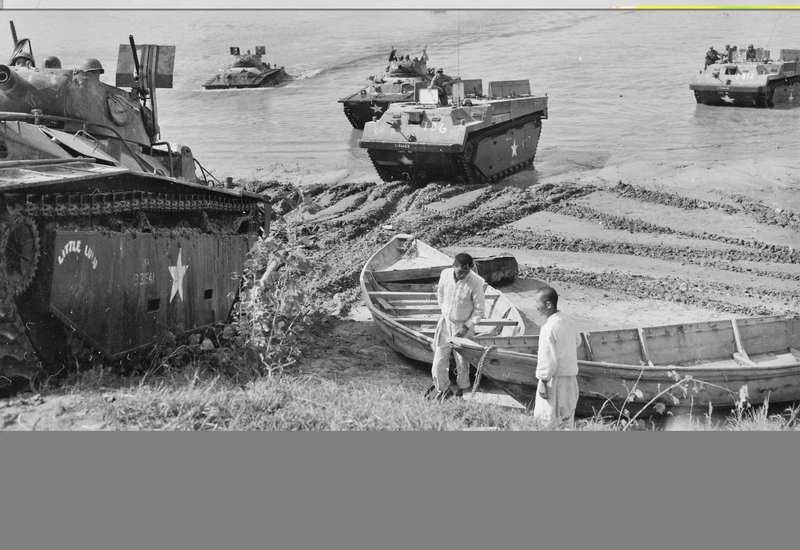 In February 1967, the 1st Cavalry Division launched Operation Pershing, what would become an eleven month campaign to clear much of the Binh Dinh Province of NVA and Viet Cong activity. All three of the division’s regiments were committed to this fight, including the 7th Cav, General Armstrong Custer’s old command. 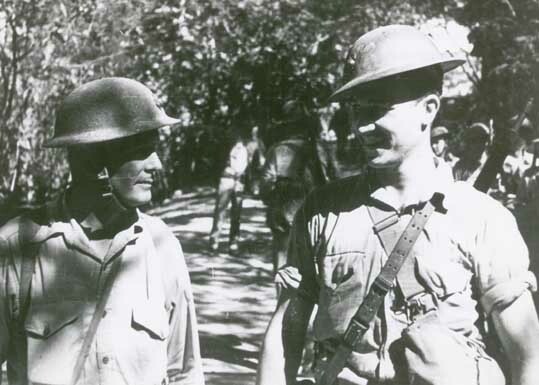 During the next year, Operation Pershing triggered eighteen major engagements and countless skirmishes as the troopers of the 1st Cav struggled to clear tunnel and cave complexes on the Bong Son Plain and its environs. 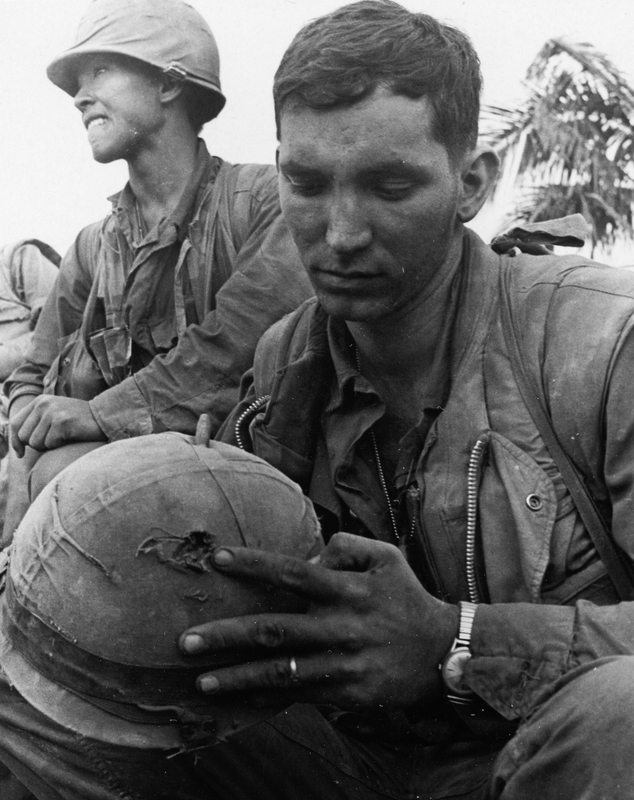 The battles in Binh Dinh Province have been overshadowed by the Ia Drang Valley campaign of ’65 and the 1st Cav’s role in it, but the battles fought there in 1967 inflicted heavy casualties on the NVA and VC (almost 8,000 killed or captured) and became the longest single operation of the division’s experience in the Vietnam War. Bell UH-1 Huey helicopters take off with elements of 1st Battalion, 7th Cavalry take off for an air assault mission some 50 kilometers northeast of Ankhe. May 28, 1967. Operation Pershing. Troopers of the 1-7 Cav on the ground in an LZ outside of Ankhe as a Huey brings in supplies. The photo was taken on May 27, 1967. 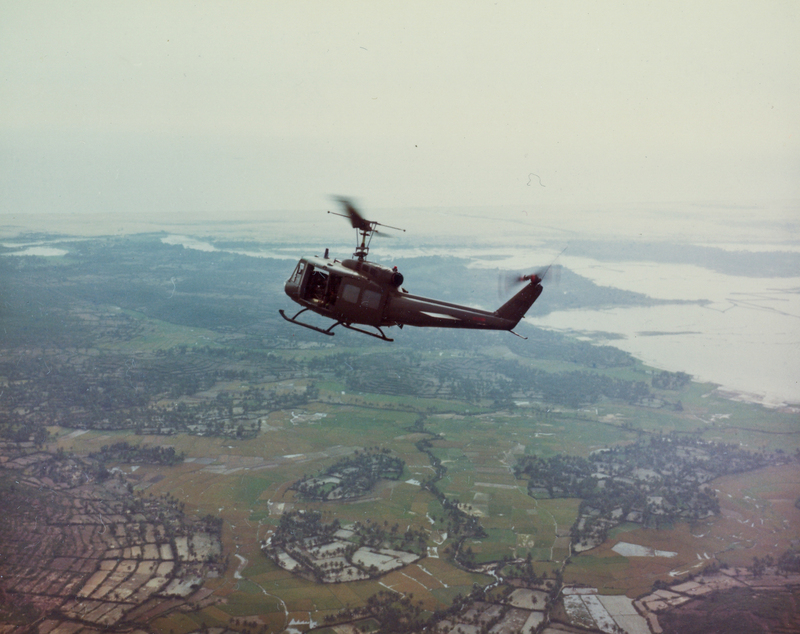 A Huey UH-1 Iroquois from the 35th Infantry Regiment over Phu Cat, Vietnam on April 11, 1967. Lance Corporal C.D. 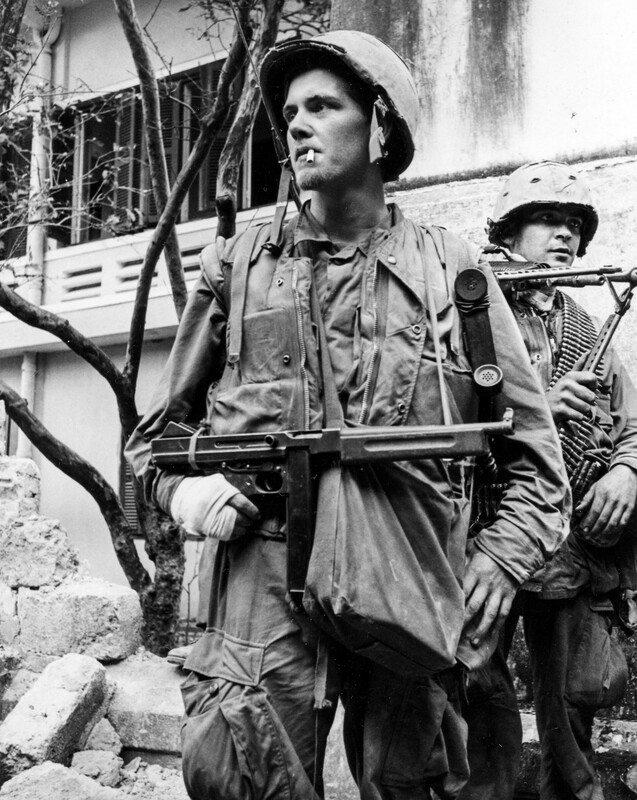 Bradford, a New Jersey native from Longbranch, hefts a Thompson submachine gun with its stock removed during the building-to-building battle for Hue City. 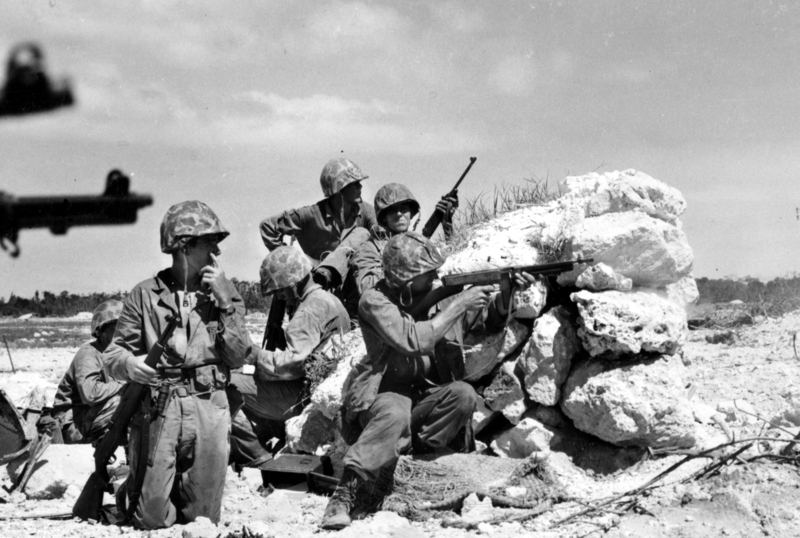 He was a radio operator for Golf Company, 2nd Battalion, 5th Marines during the fighting. 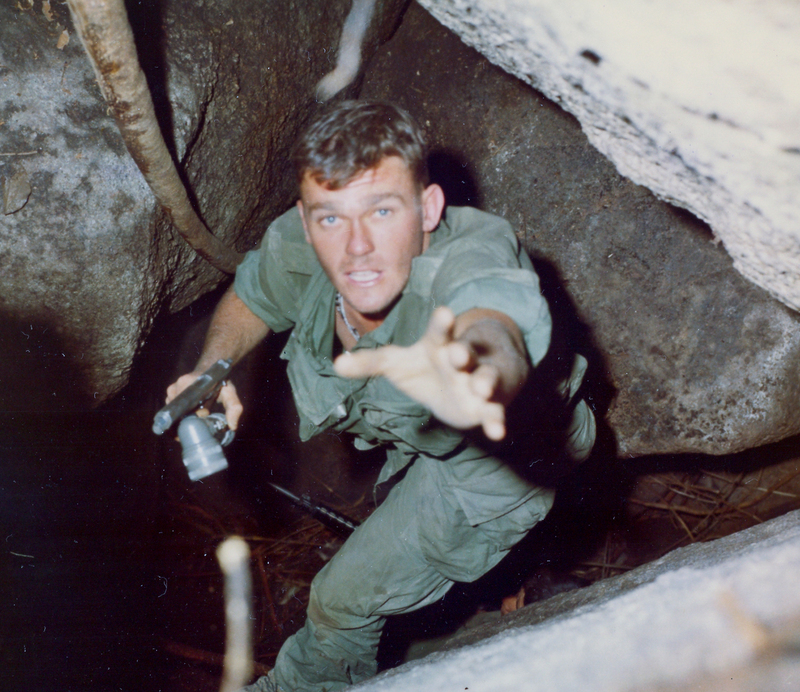 The photo was taken on February 5, 1968.
were using the cave and tunnel network as a refuge after suffering severe losses against the American and South Vietnamese units involved in the operation. Private Laurie was reaching for an M-16 being handed down to him moments after he spotted an NVA Soldier within the cave network he’d entered. The enemy Soldier was subsequently taken prisoner. The .45 was not the preferred weapon of those Americans detailed to clear tunnels. Later, as that specialty evolved and the legendary “Tunnel Rats” earned fame, those who descended below ground in search of the ever-elusive NVA and VC generally preferred to carry a pistol with less of a report and muzzle flash. Some Tunnel Rats took to carrying WWII German Lugers sent from home, as well as revolvers and other 9mm pistols.